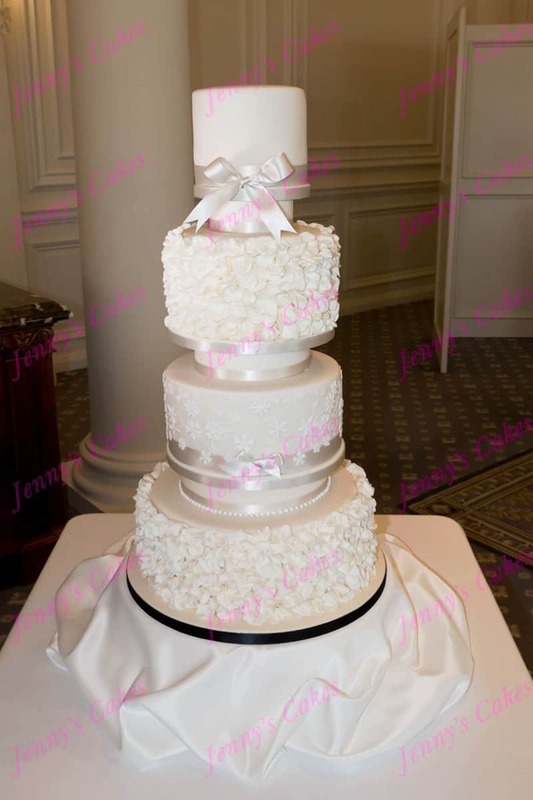 Trump Turnberry Wedding Blog- Four Tier Wedding Cake Set-up. Trump Turnberry- our wedding cake delivery experience. 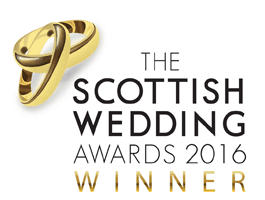 We deliver and set up cakes around Glasgow, Gretna, Central Scotland and Ayrshire. 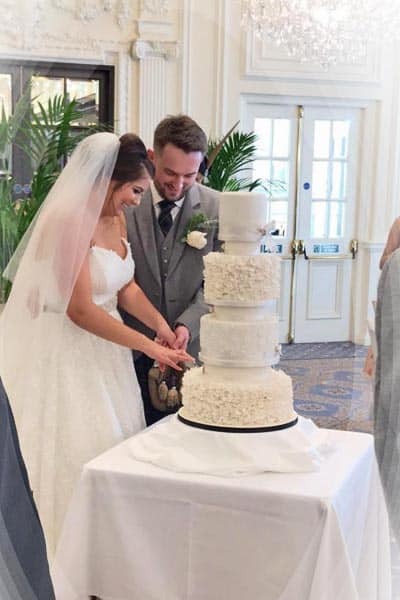 We recently had the pleasure of creating a beautiful wedding cake for Maria and Adam, at the newly revamped Trump Turnberry Hotel on the Ayrshire coast. This was our first wedding cake for Turnberry since their recent refurbishment, so we were really looking forward to seeing the improvements. 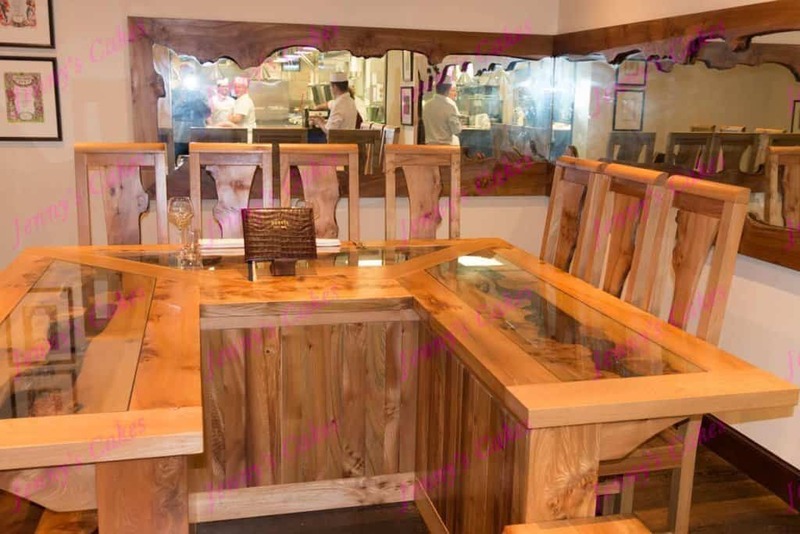 We were totally stunned to see the changes and the vast amount of improvements and enhancements to the decor! As Maria and Adam’s cake was quite large and complex, we decided that Jenny and Tom would do this set-up together. We received a warm welcome and great assistance from the concierge team at Turnberry! 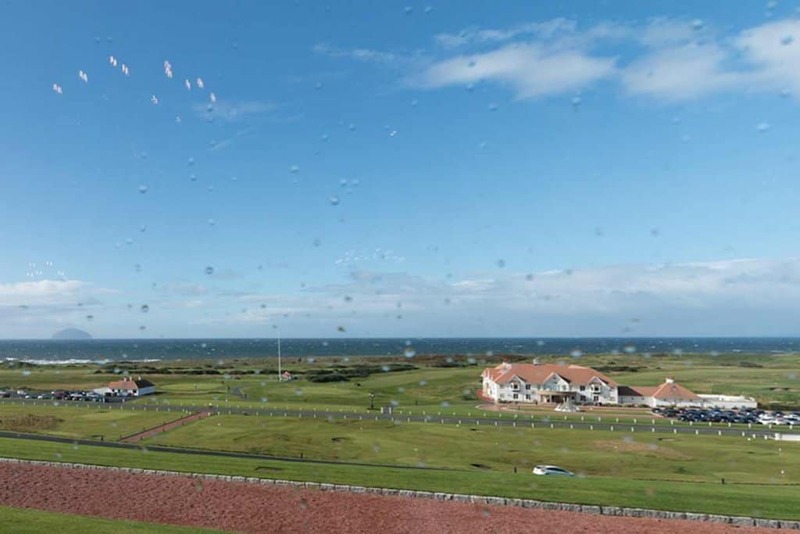 We then assembed the cake in the beautiful Crystal Ballroom, which has spectacular views over the coastline to Ailsa Craig and the Turnberry golf courses. 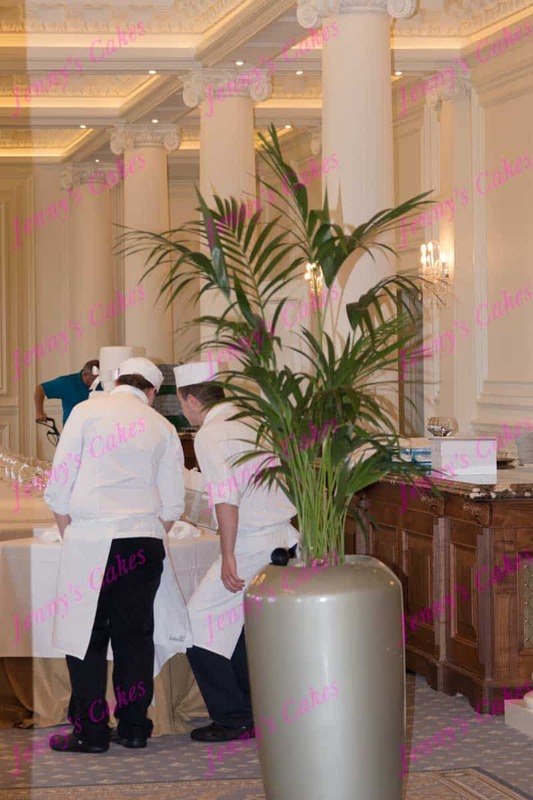 We applied a few finishing touches to the cake, and were ready to head homewards when we noticed that a couple of the Turnberry chefs were admiring our handiwork! 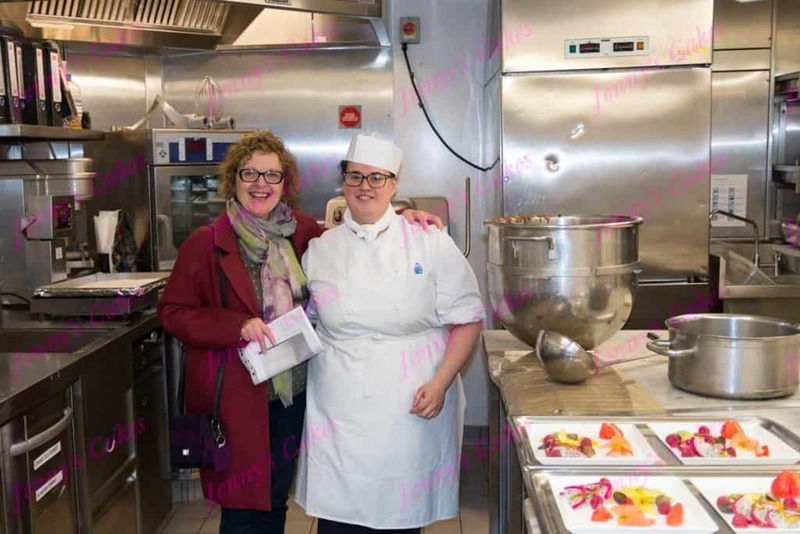 We had a quick chat and were invited to have a look around the new kitchens, meeting the all-important Pastry chefs, including Cassie (below), and their boss Andrew! This wedding cake is shown in a Four Tier stacked arrangement, each tier is separated from the others, to increase the overall height of the cake and add the WOW factor! The second and bottom tiers are decorated with fine sugar ruffles, and the third tier features delicated sugar blossoms in varying sizes. All in all, a very interesting and enjoyable trip to Trump Turnberry! 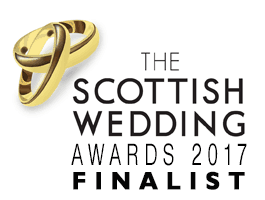 We hope to be back at Trump Turnberry again often with more gorgeous wedding cakes in the near future!